With a capacity of up to 12 people, this is our largest room. 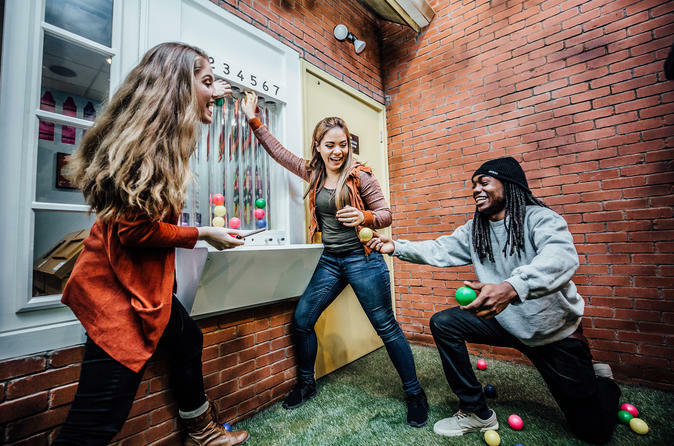 Located in CityCentre Houston, The Escape Game offers an escape from ordinary life and allows you to live the stories you love. Here’s how it works: You and your team are locked in a room and have one hour to complete a mission and escape. Escaping will require teamwork, quick thinking, determination and a sense of urgency! In Playground, you need to get your final report card if you want to make it to the annual Summer Kickoff Kickball Tournament in time. Located at 794 Sorella Court (Suite 127) in CityCentre, please check in 15-minutes prior to your game start time. Our Playground Escape Room is an exciting, immersive game that takes you back to the days of your youth. It's the last day of the school year, which means it’s time for the annual Summer Kickoff Kickball Tournament! You’re playing against your arch rivals, the 5th Graders, and you want to win more than anything! However, you and your team are still stuck in class. In order to leave class, you’ll need to finish all of your assignments and get your final report card. The game starts in an hour and if you don’t make it in time, you’ll have to forfeit. So hurry up, work fast, and start your summer as champions!